Zamaldelica is a feminized sativa Marijuana strain from Ace Seeds that provides a fantastic due to its potency and psychoactivity. It has a fruity taste and is recommended for SCROG. Zamaldelica is a F1 hybrid feminized sativa Marijuana strain from Ace Seeds created by crossing two pure genetics (landrances). 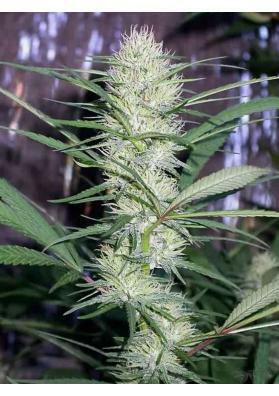 On the one hand Ace Seeds used a clone from Malawi dubbed Killer by its great potency that was crossed with Zamal, a pure Sativa of the island of Reunion. The plant of Zamaldelica reaches a moderate/high size, grows vigorously and develops many branches with a medium internodal distance. Zamaldelica is highly resistant to cold and humidity althoguh it gives its best outcomes in warm climates. It is also especially resistant to Botrytis and Mildew. Zamaldelica has a very long flowering period, which can go from 11 to 14 weeks. Zamaldelica is ideal for intensive cultivation systems like SCROG. In case of performing this technique we recommend to do an apical pruning before. Zamaldelica provides a fully psychoactive and stimulating high being an authentic rush of emotions and energy. Indeed, this kind of effect is very appreciated by sativa lovers not being recommended for beginners. The flavor of Zamaldelica is mainly fruity, tasting like mango, mandarin and carrot.